Ladies and gentlemen, "44"JazzCafe sends you warm regards and wishes you happy returns with regards to the coming winter holidays. JazzCafe promises to offer positive emotions and happy faces for a wonderful night, and you and your friends will get the chance to spend quality time celebrating the New Year. 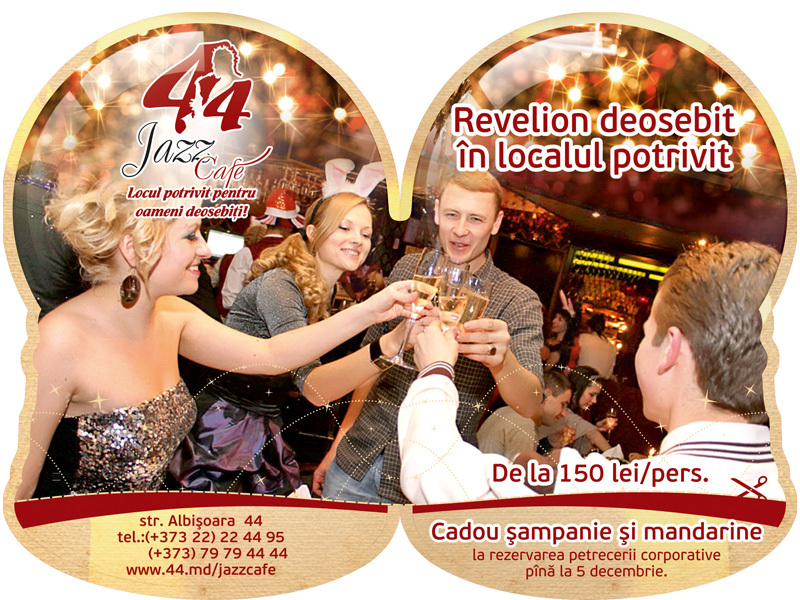 We would like you to join us, and bring your friends along to a one of a kind special place in town – “44” JazzCafe. This place offers the best winter holidays spirit and once you are here, you can forget about your long office hours and financial reports. Only this evening we will offer accessible prices for alcoholic and non-alcoholic drinks. All of this is for our guests and we hope to see you there on December 31.